Soft, spongy and highly durable. 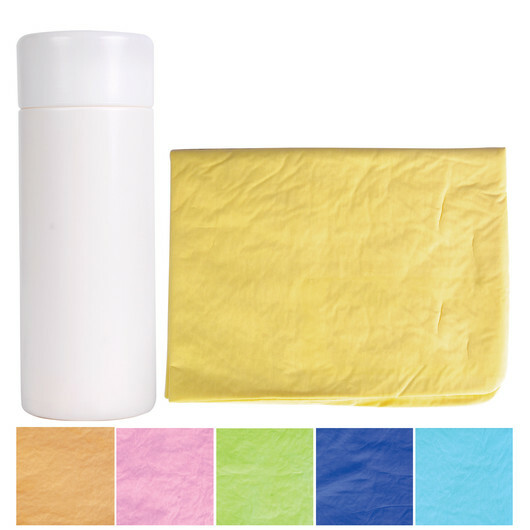 This synthetic pre wet chamois with rounded corners are cello bagged in tube. Easy to wring it out, but do not forget to keep the chamois cloth in a tube and always a little bit wet. 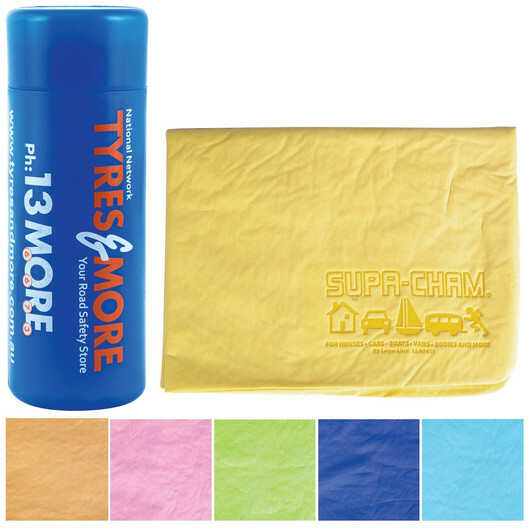 Your debossed logo on chamois and choice of 1 colour print or 4CP clear label on tube.